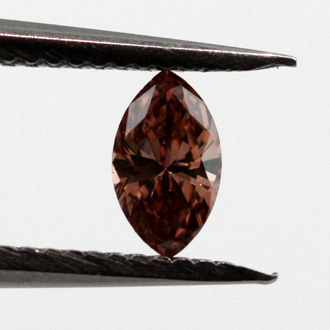 0.12 carat marquise cut fancy deep brownish orangy pink diamond - great color combination. This pink beauty has an extremely strong color and deserves it's GIA deep grading. Very affordable due to its size and would make a beautiful ring.